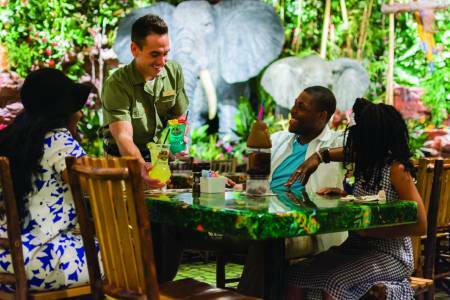 Family Fun Nights are every Thursday at Rainforest Cafe! Kids eat free with the purchase of one adult dinner. Kids can also enjoy balloon animals and pictures with Cha! Cha! the Rainforest Cafe tree frog!